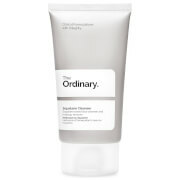 Ultra gentle and calming wash suitable for tackling skin prone to ultra-sensitivity and rosecea-like redness. Red Alert Cleanse Medik8s first ever dedicated cleanser for hypersensitivity and redness. This unique formulation with patented Teprenone, Vitamin K and calming organic orange oil will not only soothe the skin, but cleanse deep within the pores removing impurities and make-up. Designed to be used prior to lipid-based antioxidant serums and Red Alert Serum.